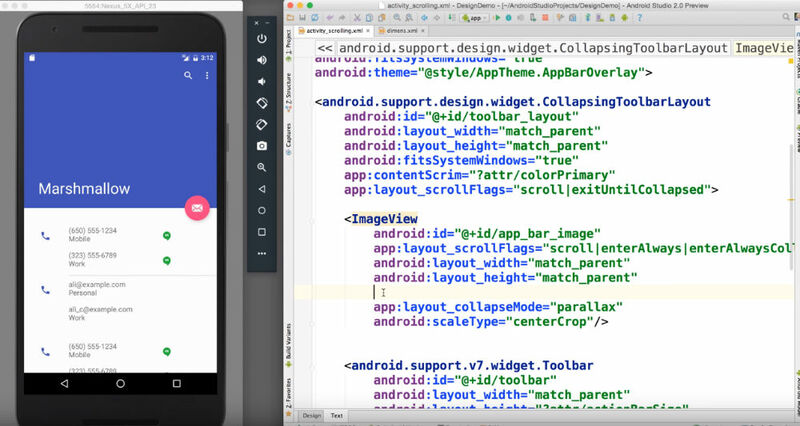 The Android Developers team at Google is beginning to preview the launch of Android Studio 2.0, detailing what features app developers can look forward to upon release. All features detailed are available via the canary release channel, but given this is merely a preview of what is to come, Google recommends you download and run an additional copy of Android Studio in parallel with your current version. The first feature, Instant Run, should dramatically improve development workflow, allowing you to view changes made instantly on your emulator or development device. All new projects started in Studio 2.0 will feature Instant Run, but if you have pre-existing projects that you would like to enable Instant Run for, Google has a very easy process for doing so. Open Settings/Preferences, then go to Build, Execution, Deployment → Instant Run. Click on Enable Instant Run. This will ensure you have the correct gradle plugin for your project to work with Instant Run. Also detailed in Android Studio 2.0 is GPU Profiler, which allows easier profiling of OpenGL ES Android code. According to Google, this tool is in early preview, but is “very powerful,” not only showing details about the GL State and Commands, but allows you to record entire sessions and walk through the GL Framebuffer and Textures as your app is running OpenGL ES Code. Again, it is in early preview, but is available through the GPU Debugging Tools package from the Android Studio SDK Manager. Google says this is only the beginning, so if you dev for Android, be on the lookout for more big changes.